LASER in aesthetic practice is usually is a medical Class IV device that converts electrical into optical light energy to elicit a desired cellular response. Thus, there are different lasers for different functions according to the wavelength generated. Thus, there are lasers for tissue ablation, to burn off unwanted tissues such as epidermal lesions, lasers specifically targeting the colour portions of the skin such as pigmentation or tattoos, veins and arteries, hair, and even fat cells. Lasers are also classified as ablative and fractional ablative; ablating tissues in specific portions with areas of intervening normal skin that aid in healing and faster recovery, the fractional laser systems. Lasers with specific wavelength can target the fat tissues, leading to fat destruction (lipolysis) and skin tightening resulting in eventual slimming of the treated areas. Radiofrequency devices achieve skin tightening without surface skin ablation. 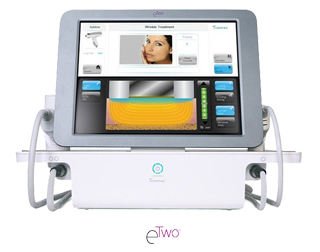 These are useful devices for reshaping the face and other body areas.